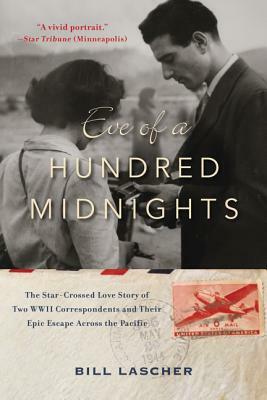 The unforgettable true story of two married journalists on an island-hopping run for their lives across the Pacific after the Fall of Manila during World War II—a saga of love, adventure, and danger. On New Year’s Eve, 1941, just three weeks after the attack on Pearl Harbor, the Japanese were bombing the Philippine capital of Manila, where journalists Mel and Annalee Jacoby had married just a month earlier. The couple had worked in China as members of a tight community of foreign correspondents with close ties to Chinese leaders; if captured by invading Japanese troops, they were certain to be executed. Racing to the docks just before midnight, they barely escaped on a freighter—the beginning of a tumultuous journey that would take them from one island outpost to another. While keeping ahead of the approaching Japanese, Mel and Annalee covered the harrowing war in the Pacific Theater—two of only a handful of valiant and dedicated journalists reporting from the region. Supported by deep historical research, extensive interviews, and the Jacobys’ personal letters, Bill Lascher recreates the Jacobys’ thrilling odyssey and their love affair with the Far East and one another. Bringing to light their compelling personal stories and their professional life together, Eve of a Hundred Midnights is a tale of an unquenchable thirst for adventure, of daring reportage at great personal risk, and of an enduring romance that blossomed in the shadow of war. Bill Lascher is a journalist whose work has appeared in the Guardian, Pacific Standard, Atlas Obscura, Gizmodo, Portland Monthly, and elsewhere. He was a 2011 Knight Digital Media Center multimedia and convergence fellow at the University of California, Berkeley, Graduate School of Journalism. Lascher is a graduate of Oberlin College, the Annenberg School for Communication at USC, and the Salt Institute for Documentary Studies. He lives in Portland, Oregon.